STANDING TALL ... Palo Alto resident Christine Blasey Ford, who has become known for going public with her sexual-assault allegations against now-Supreme Court Justice Brett Kavanaugh, has been selected as the 24th Assembly District's Woman of the Year, state Assemblyman Marc Berman's office announced on Monday. Ford, 52, a psychology professor at Palo Alto University, was picked for her "remarkable act of courage" in testifying about her claims before the Senate Judiciary Committee in late September. "Dr. Ford exhibited strength and dignity under the most extraordinary conditions, and in telling her truth, she paved the way for countless other survivors to tell their own," Berman said in a statement. Ford is currently not teaching classes at the university, but is continuing to conduct biostatistics research and work with doctoral students. SACRAMENTO – Today Assemblymember Marc Berman (D- Palo Alto) has the distinct privilege of recognizing Palo Alto resident Dr. Christine Blasey Ford as the 24th Assembly District ‘Woman of the Year’. 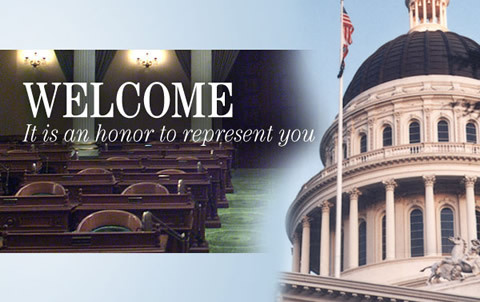 As a way to highlight outstanding women during Women’s History Month, legislators select one exceptional woman from each Assembly District to honor for her contributions to the community and the state of California.